We have made great advances in the field of softwares and engineering, but have a long way to go when it comes to make this planet a smarter planet to live in. 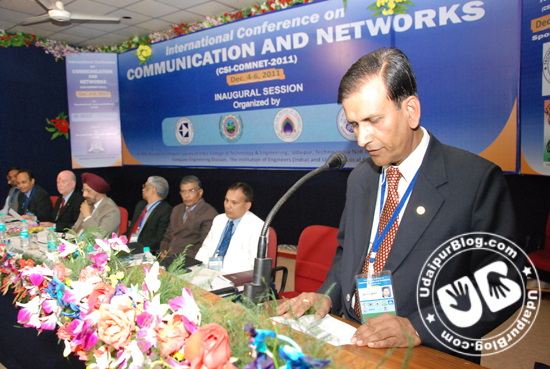 With the same motive, SIG-WNs (Division IV), Computer Society of India along with College of Technology and Engineering(Udaipur), The Institution of Engineers (India), ULC and Techno India NJR Institute of Technology (Udaipur) organized CoMNet 2011, an International Conference on Communication and Networks from 4th -6th December 2011 at Udaipur. 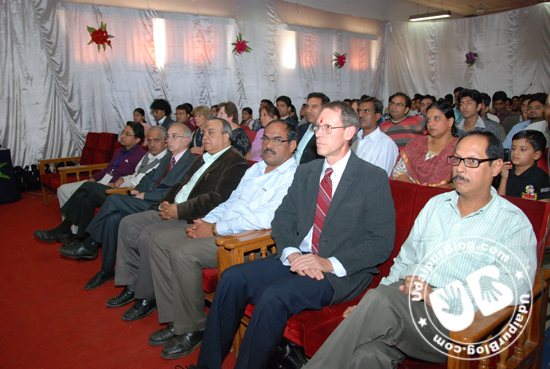 The Inaugural function was held on 4th December 2011, at AVP Hall, College of Technology and Engineering, Udaipur; at 12:30 p.m. The conference was honored by the presence of Prof. S. S. Chahal as the Chief Guest for the day, who stressed on the use of communication for the welfare of farmer community at large. 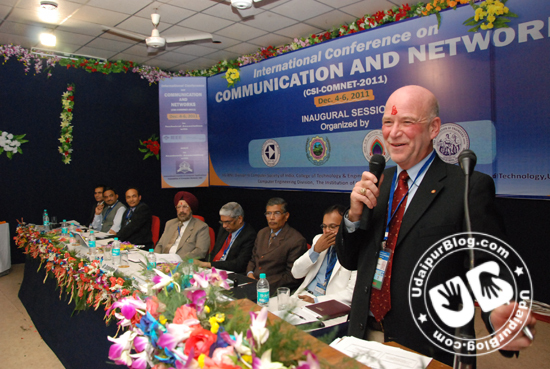 Prof. Sorel Reisman, the guest speaker enlightened the participants about the various events and activities of IEEE Computer Society, and whole new ideas and experiences for a smarter planet. In his presidential address Mr. Satish Babu, President Elect-2012, CSI stressed on the use of open source software in the e-government applications. He also highlighted the role of communication and network research in the upliftment of the various segments of society. Guest of honor Sh. 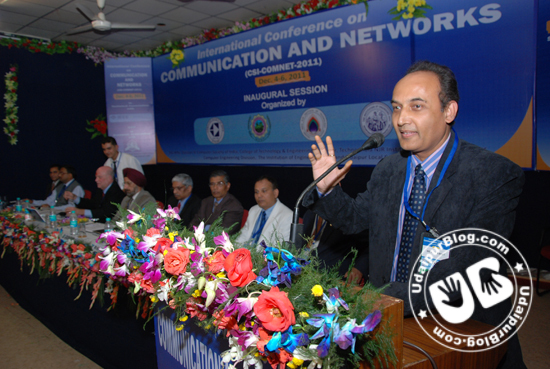 Ketan Bhatt, Vice President, Secure Meters Limited has shared the role of communication in electricity utility companies. He also shared the research going on in Secure Meters Limited. In these three day event a total of 70 papers have been scheduled to be presented. These 70 papers have been selected after peer blind review out of 281 papers submitted by various author across the globe. The acceptance rate is 24.9%. Out of these, 50 papers have been recommended for publication in the International Journal of Computer Application, making the acceptance rate of 17.79%. The papers are presented related to various areas including traffic profiling, security, e-health, sensor networks, ad-hoc network, energy efficient networks etc. There was an International Workshop on free and open source softwares (IW-FOSS) and a press conference, both on 5th December at Techno India NJR institute of Technology with Dr.Gil Taran, CEO iCarnegie and Prof at Carnegie Mellon University and Dr. John Walz, President Elect-2012, IEEE Computer Society, both of them as the Guest Speakers. 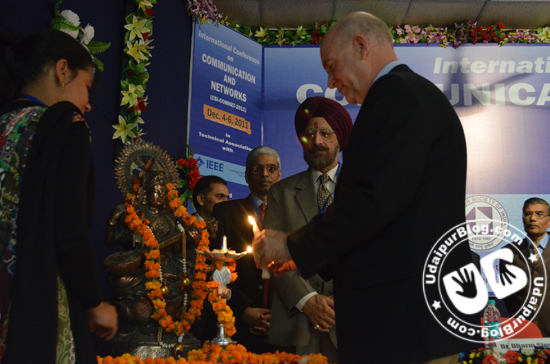 Chief Guest for the workshop was Prof. Sorel Reisman, president, IEEE Computer Society, and presidential guest Mr. Satish Babu. 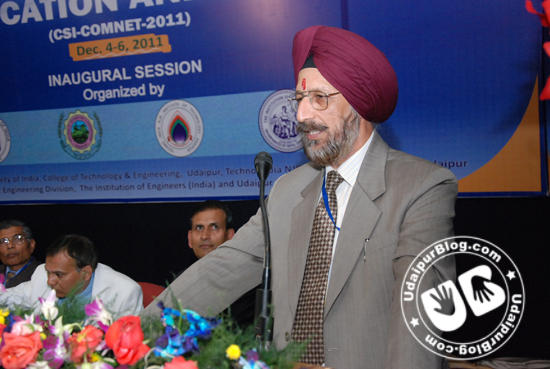 Prof Piyush Javeria was the workshop coordinator for the same. After a span of eight technical sessions in the span of three days, the valedictory session of the conference was held today, the 6th December at 1:00 p.m. in AVP Hall, CTAE, Udaipur in the gracious presence of Sh. Hema Ram Choudhary, Hon’ble Minister Revenue, Colonization and Soldier Welfare, Government of Rajasthan, as the Chief Guest. Guest of honour for the day was Dr. John Watz, Dr. Gail Reisman and Sh. R.N. 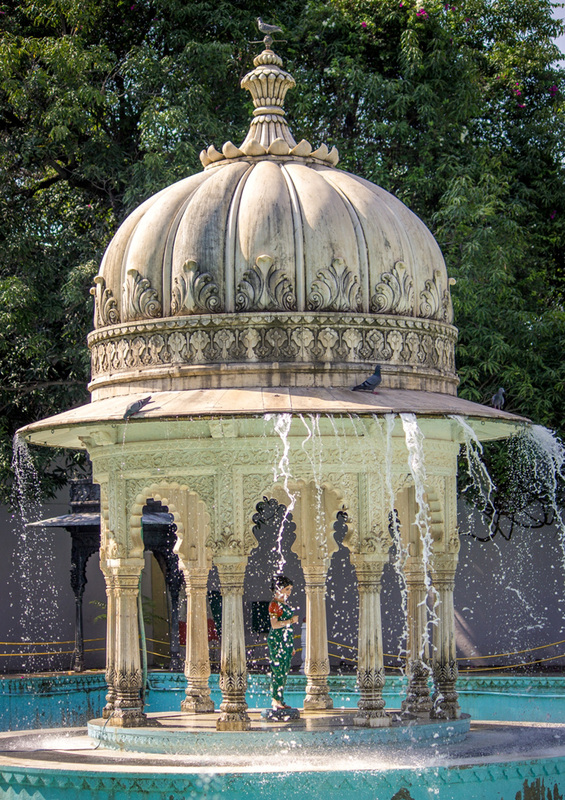 Mathur. Here is an altogether glimpse of the COMNET below. 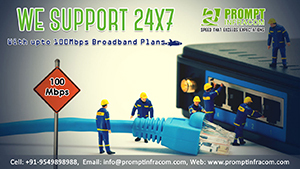 Special thanks: Drishti Soni, Er. Kalpana Jain, Heena Rathore, Prof. Piyush Javeria, Remya Ramesh, Upesh Bhatt. 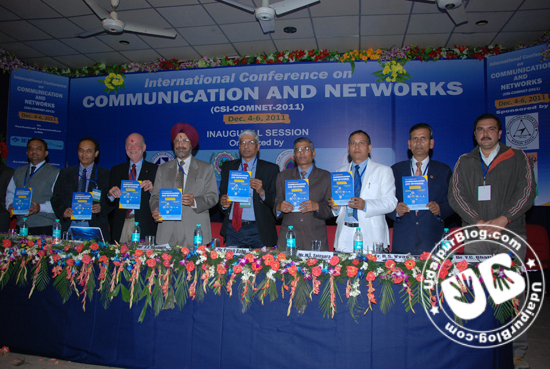 This conference is a significant contribution to the body of knowledge of communications and networks. The challenge to all the participants is now to use our technologies for the betterment of humanity, in particular, as the Guest of Honour, Dr Gail Reisman said, the needs of the young, poor, and aging. Thank you Dr. Sorel and Dr. John for your support for the COMNET-2011. On behalf of the Computer Society of Indian, I would thank the entire IEEE CS, esp Dr. Kasturi and both you- strengthening our ties year after year. 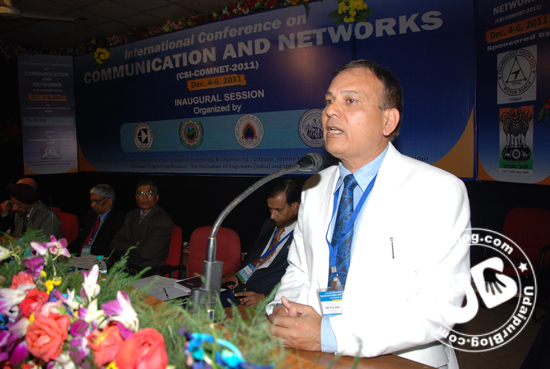 My sincere appreciation goes to our CSI Udaipur team led by Dr. Dharm Singh, one of most dynamic next-gen leader of CSI for excellent hosting of COMNET-2011. 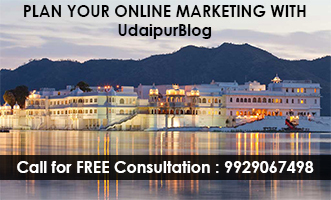 The conference has dented significant marks on the journey of technical knowledge in Udaypur. I would like to know the tentative timing of online status of conference proceedings.